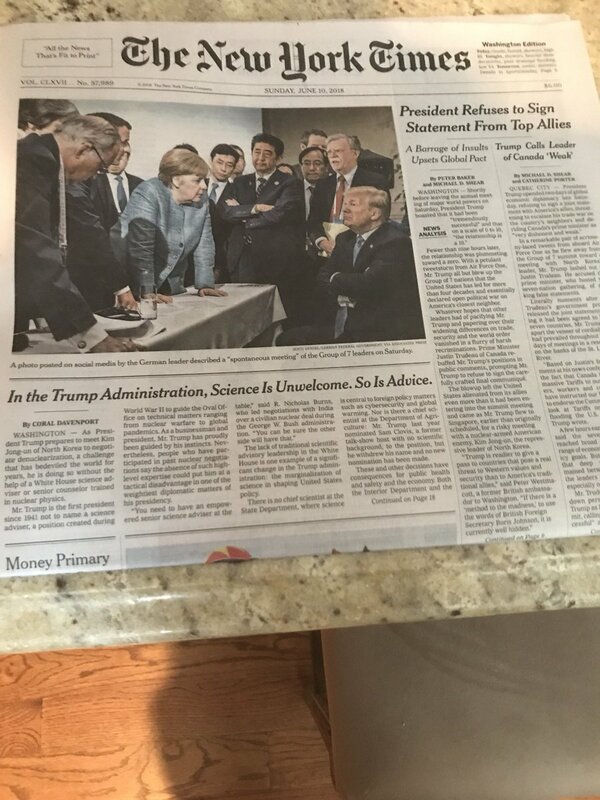 Both pro-Trump and anti-Trump camps are causing the above picture to go viral. Indeed, even German Chancellor Angela Merkel's spokesman tweeted it out as did Trump's bloodthirsty neocon adviser John Bolton. 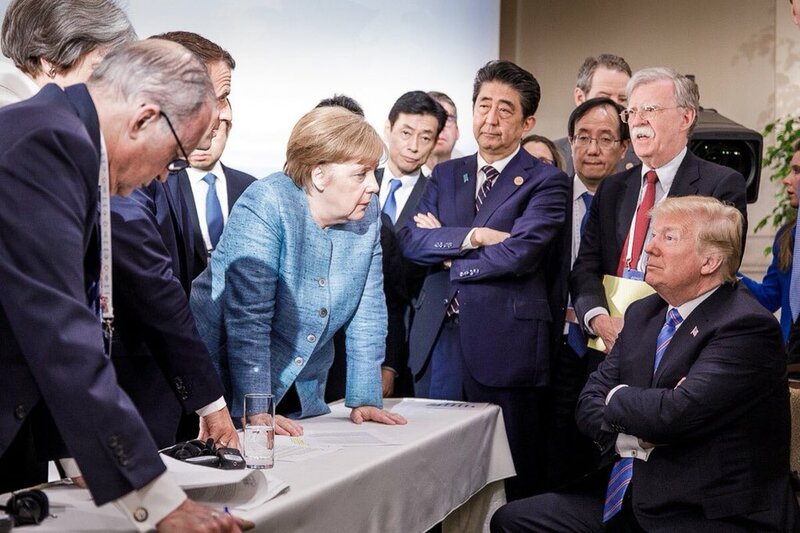 It shows a smug Trump, sitting comfortably, surrounded by seemingly frustrated and exhausted other G7 leaders with Merkel front and center. Why do both sides like this picture? Because the pro-Trump supporters have a blind hate of the G7 and they love that Trump is making them frustrated. To the anti-Trump supporters, it reflects the frustration in dealing with what they see as the uncouth, globally ignorant Trump. That said, the pro-Trump supporters are cheering on a despicable Trump who has the mindset of an early 18th-century mercantilist, who says he is for zero tariffs as he slaps on more tariffs. The other G7 members are, of course, crony capitalists, never to be trusted. But in their positioning against Trump, they are in favor of more trade than Trump. Thus, on the trade/tariff question, they have a slightly higher moral ground in the pit of evil serpents. Of course, a truly free market leader wouldn't even attend this battle of statists. He would just open up his country's borders to all trade, without tariffs, and spend the rest of the day on the beach. Life is easy for a free market ruler. And that is what is wrong with the picture above, it gets everyone cheering for one group of statists against another group, when there shouldn't even be such meetings. Free trade doesn't require meetings or standoffs. As I say, it's a day at the beach.